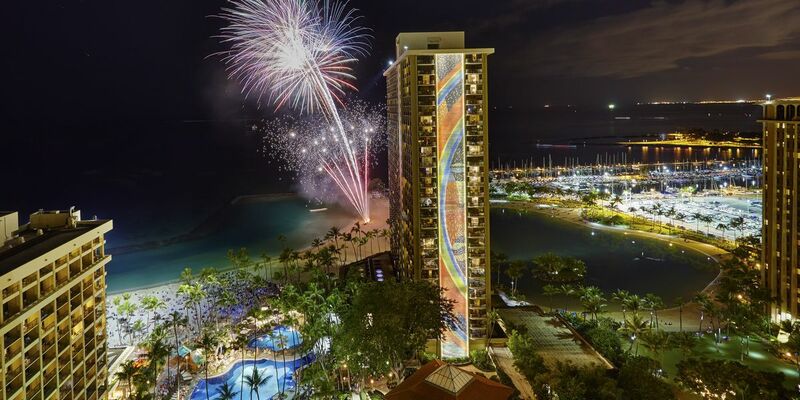 HONOLULU (HawaiiNewsNow) - A number of professional fireworks displayed are planned this New Year’s Eve. Hilton Hawaiian Village Lagoon: Starts at 11 p.m. Get details by clicking here. Waikiki: Starts at 11:55 p.m. For more information, click here. Hilo Bay (Big Island): Starts at midnight. For more information, click here. Four Seasons Resort Hualalai (Big Island): Begins at midnight. Find details here. Grand Wailea Resort (Maui): Show starts at 11:59 p.m.
Poipu Beach Park (Kauai): Fireworks show starts at 8:15 p.m. Get more information here.